Every fashionista must be dressed for all occasions. 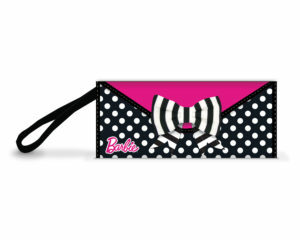 This beautiful Barbie Black Polka Dot Clutch is the perfect finishing touch for any outfit. 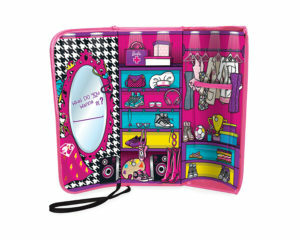 With polka dots on the front and a dreamy dressing room for Barbie on the inside, any girl can make a fashion statement! Ages 3+. ZipBin® Products – Keep it Together™. 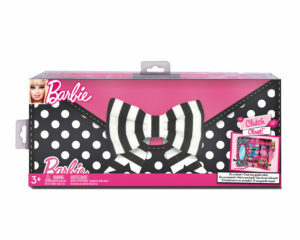 BARBIE and associated trademarks and trade dress are owned by, and used under license from, Mattel, Inc. © 2017 Mattel, Inc. All Rights Reserved.